BOARDMAN, Ohio – Businesses that decades ago set up shop along the most travelled corridor in Mahoning County say they always had a hunch commercial activity would skyrocket along U.S. Route 224. Time has proven them right, even as some of the big-box retailers that once dominated this strip have shut their doors. Over the last 40 years, the main business artery that links Poland, Canfield and Boardman has become the center of retail, restaurants and professional services that today serve the entire region. The company, founded in Warren in 1947, sells and provides service for outdoor power equipment. Forty years ago, the owners opted to expand into Mahoning County and selected the present site because of its proximity to state Route 11, allowing easy access from Columbiana County to the south and Youngstown to the north. During the late 1970s, there was little of the development seen today along this part of the thoroughfare. “There wasn’t anything looking to the east” toward Boardman, he recalls, noting much of it was vacant land that proved more accommodating to businesses such as a driving range than the multi-use development there today. “It’s changed dramatically,” he says. Do-Cut thrived at the location until 2011, when a devastating fire ripped through the business, destroying the entire building, Curry says. Within a matter of months, the company was back in business, operating from a leased building farther south along 224 in Boardman. This year, however, Do-Cut has returned to its original location with a larger showroom and service department, Curry says. “We’ve added people, it’s a larger facility, and has better parking,” he says. CTW Development Corp. built a new plaza with an entrance off Raccoon Road to accommodate Do-Cut’s new space. Initially, the Do-Cut building faced east. Now, it faces south, making it more visible for westbound and eastbound travelers along 224. Eight years after a fire destroyed the Do-Cut store at the corner of Route 224 and Raccoon Road, the company returned to the site earlier this year. “It’s been a very good relationship with the community and a great fit,” Curry says. Among the longest-running businesses along the corridor is Butter Maid Bakery, which opened in 1955 and was among the earliest tenants in the Boardman Plaza. “Before 1955, we operated as the Steelton Bakery on Steel Street in Youngstown,” says Jeff Naumoff, owner of Butter Maid Bakery. Naumoff is the fourth generation to operate the bakery, which traces its roots to 1903 and horse-drawn delivery wagons. The bakery moved to the Boardman Plaza 64 years ago, where it produced its signature homemade kolachi. In 1984, the business moved to the Southern Park Mall, as foot traffic gravitated there. “We changed with the times,” he says. Five years ago, however, the business returned to the plaza, not far from where it started in 1955, Naumoff says. He reports business at the small bakery is “excellent,” as the Boardman Plaza location is more accessible for patrons today. 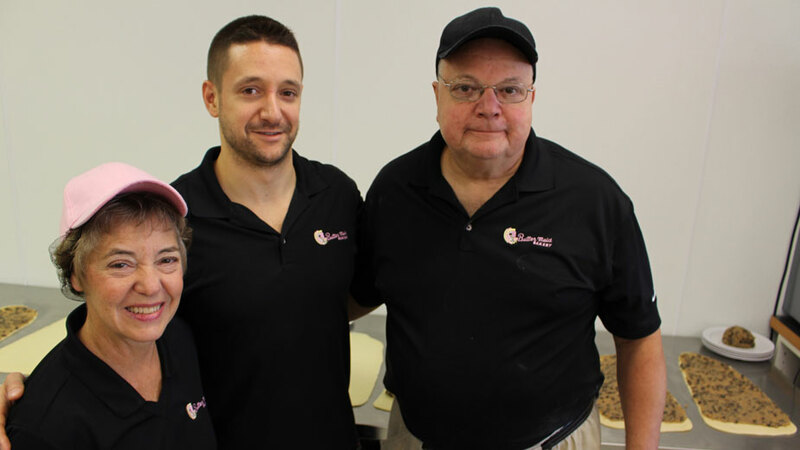 Gloria, Jeff and Jim Naumoff operate Butter Maid Bakery in Boardman. Others who have witnessed the corridor change over the decades say that there isn’t a better place to operate their business – even in some of the more mature sections of the commercial district. Tesone’s has done business from the location since 1981, when the boot-and-shoe-repair shop relocated from Market Street, Amadio says. His grandfather started the business during the 1930s at the corner of Oak Hill and Myrtle avenues in Youngstown. It was this section of 224 that developed first, anchored by Boardman Plaza to the west and Southern Park Mall to the east, Amadio says. The building was built in 1965 as a hot-dog shop and did business as a submarine-sandwich restaurant when he bought it in 1981. 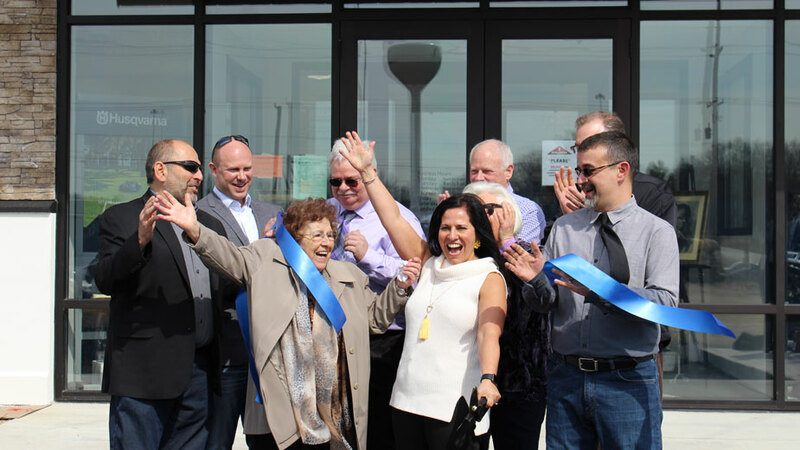 Over the years, the corridor has served small retailers and service businesses such as Tesone’s well, despite the thoroughfare being a magnet for chain restaurants and national stores with much deeper pockets, Amadio says. “It’s still busy today,” he says. Much of Tesone’s business is driven through word-of-mouth and reputation, Amadio says. Moreover, his business relies on specialty services unavailable everywhere. “The shoe-and-boot-repair business has gone down over the past 20 years, since people are buying much cheaper shoes,” Amadio says. As such, the company has diversified by selling footwear dedicated to a specific population, such as providing shoes for those who suffer from diabetes or other conditions. After nearly 40 years at his present location, Amadio says he’s never really considered moving. Pictured: Carmen Amadio has owned and operated Tesone’s Boot and Shoe Repair on U.S. Route 224 for nearly 40 years.